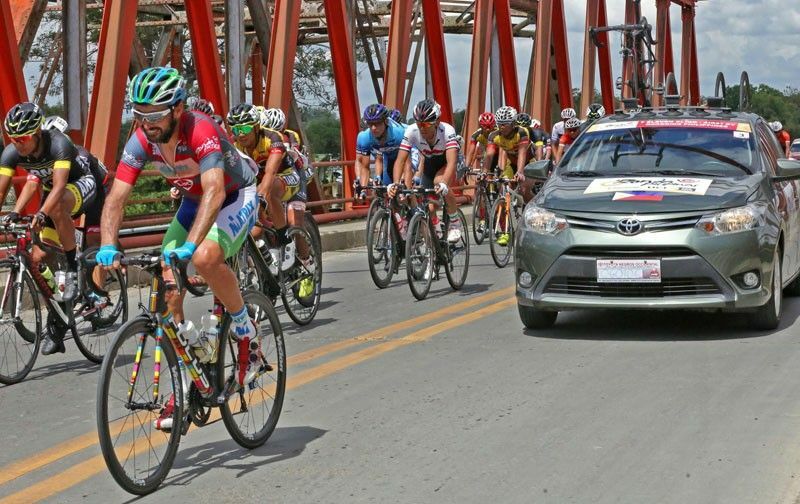 PANDAN, Antique, Philippines — Francisco Mancebo Perez of Matrix Powertag Japan used the fifth and final stage as his victory lap even as he fended off the last-ditch efforts by Filipino riders and ruled the LBC Ronda Pilipinas 2019 that ended in this serene and scenic town yesterday. The Spaniard checked in 32 seconds off Stage Five winner El Joshua Carino of Navy-Standard Insurance, who bested a star-studded field headed by Tour de Langkawi champion Artem Ovechkin and two-time gold medal winner Mohd Harrif Saleh of Terengganu in the final sprint. All three – Carino, Ovechkin and Saleh – though had identical times of three hours, 24 minutes, 37 seconds. At the end of this five-stage, UCI-sanctioned race that went from Iloilo City to Guimaras to Iloilo to Roxas and finally, Antique, Mancebo emerged as the unquestioned champion as he dominated the race from start to finish and ended with an aggregate time of 19:26:30. Last year’s Ronda king Ronald Oranza of Navy finished a distant second or 3:20 minutes behind while Dominic Perez of 7Eleven Cliqq-Air21 by Roadbike Philippines ended up at third or 3:23 off the pace. It was the first triumph by Mancebo in a multi-stage race since he lorded it over Tour of Egypt four years back. “This is the triumph not just by myself but by all the members of the team who supported me,” said Mancebo, a Tour de France fifth placer in 2005. Oranza said having a legendary veteran in Mancebo competing on local soil is good for Filipino riders. “He (Mancebo) is really a strong rider and hard to beat. We still have a long way to go and need more training to be at par with them,” he said. Navy’s Jan Paul Morales (4:03 behind), the 2016 and 2017 Ronda champion, Matrix’s Sano Junya (4:21), Korail Korea’s Joo Daeyeong (4:26), 7Eleven’s Irish Valenzuela (4:48), Army-Bicycology’s Mark Julius Bordeos (4:48), 7Eleven’s Rustom Lim (4:56) and Navy’s Rudy Roque (5:42) rounded up the top 10 in the individual race. Mancebo’s Matrix also took the overall team trophy in 58:31:36, ahead of 7Eleven (00:12) and Navy (0:56). Navy’s Junrey Navarra emerged the sprint king, 7Eleven’s George Oconer the king of the mountains and Go for Gold’s Ismael Grospe the best under-23 rider.